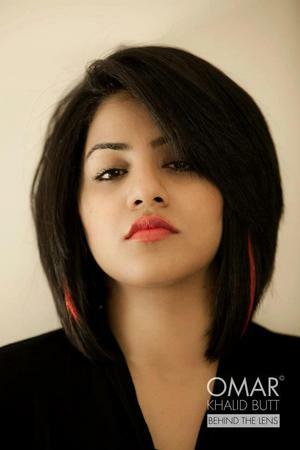 Quratulain Balouch better known for her stage name QB, is a Gen-Next Pakistani rockstar from Bandra, Mumbai. She has sung the title track of actor Fawad Khan’s popular TV show. If you want to add a touch of classical singing to your wedding then, you can have her perform on your special day. With her eclectic voice, she can also experiment with different genres of singing on your wedding day. Now create that perfect memorable moment, by letting her sing your favorite song for the Couple's Dance! QB is a wedding entertainers orchestra based out of Mumbai . QB's telephone number is 76-66-77-88-99, address is Sameer Complex, Saint Andrews Road, Bandra (West), Mumbai, Maharashtra- 400050, India..
QB is mainly known for Entertainment Services. In terms of pricing QB offers various packages starting at Rs 0/-. There are 0 albums here at Weddingz -- suggest you have a look. Call weddingz.in to book QB at guaranteed prices and with peace of mind.